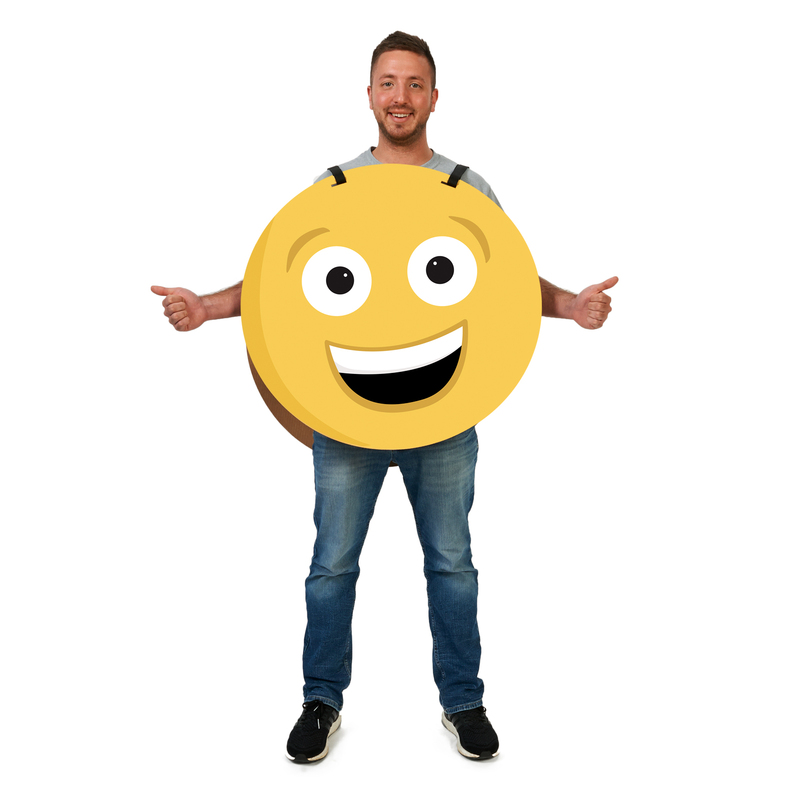 Show exactly what kind of mood you're in with this Happy/Sad 2-Sided Cardboard Emoji Costume. Straps are adjustable. 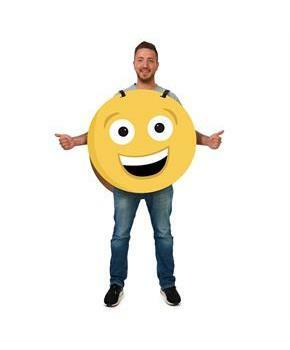 Measures 27.5" in diameter.